Clearly this is a strange moment in time - the Yes2WomenBishops campaign team are deeply disappointed that the Measure before Synod did not pass yesterday. But there will be women bishops in the CofE. Of this I am convinced. 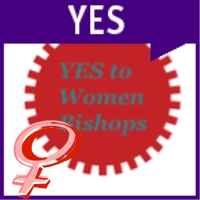 Yesterday the General Synod of the Church of England voted against the legislation that would have made women bishops a reality. The machinations were many and the complexity of why this happened has left most of the Church of England, let alone the nation we serve, at a loss to understand. As my alarm rang at 3.30am yesterday morning and I made my way in the dark to the night bus that took me to Trafalgar Square, I was excited and hopeful about the day ahead. A short hop to Church House, Westminster and I was joined by a small number of others, all of us eager to be part of this historic moment in the Church of England. We were reminded of the story of Easter, the bit before Jesus is raised from the dead, all were in deep despair and our Scripture tells us ‘Early on the first day of the week, while it was still dark, Mary Magdalene came to the tomb …’. Mary then goes on to find the tomb empty and Jesus resurrected, that joyous resurrection life, which is abundant and full and open to all. Mary, a woman, whose testimony was suspect because of her gender, was witness to the greatest moment in human history, according to the Christian faith. It felt like we were gathering, in the dark, in a place of waiting. We were hoping for a glimpse of that resurrection life in the day that lay before us. I am not a member of General Synod and so had to queue for a space in the public gallery, where we had to remain silent and simply listen to the debate happening on the floor below us. It was important to remember that what was being voted on was not the principle of woman as bishops, this has already been agreed in the Church of England, but rather the legislation that was to make that a reality. Unfortunately a number of the speakers to the debate appeared to still be arguing the case against women being bishops rather than speaking to the legislation. The concern for those against this measure was that it did not provide sufficiently for those against having a woman bishop. However, in the debate, again and again, our bishops spoke to reassure people that the measure ensured that bishops would be duty bound to provide an acceptable bishop when one was requested by a parish not in favour of women bishops. It is unclear how much further a measure might go. As the result of the vote was given by the Archbishop of York, John Sentamu, there was an audible gasp that reverberated around the room. The faces of many there told the story. The vast majority of Synod wanted this to happen. In fact almost 75% of Synod voted in favour of this legislation. The vote needed to pass by 2/3 majority in all three Houses of Synod: Bishops, Clergy and Laity. Both the House of Bishops and the House of Clergy voted in favour, however the House of Laity, which is unrepresentative of the vast majority of laity in our Church, voted against. The story from this moment hangs in the balance, it is as yet untold. However those of us who gathered at 5.30am that morning find ourselves sorrowful and yet ever hopeful, we believe that there will still be an Eastern morning, a ‘resurrection’, a time when women and men will work alongside each other for the good of the communities they serve. In terms of the synodical process now, there will be further repercussions. There will most likely be a demand to reform the House of Laity, so that it does its job in representing the majority of the laity and there will be discussions as to the exact time that we will now have to wait until this will be able to be discussed at Synod again. Most say that it will be at least 5 years until that happens, although there may be ways in which the constitution will allow for earlier. 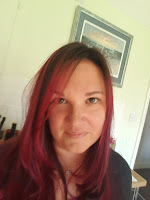 The measure that was set before Synod yesterday was the work of over ten years of conversation and discussion with those who could not accept a woman bishop, it is unlikely that the same process will be repeated. For myself and the many women priests in the Church of England, we have and will continue to work alongside people and parishes who cannot accept our ministry. We will continue to serve our own parishes who accept us joyfully. The reality of our day to day ministries seems a far cry from Synod. We live with life and death, cry when we bury young people and older people, and smile when we baptise happy gurgling babies and twinkly eyed 80 year olds, we eat lunch in the local café and chat with people at the bus stop, we listen to those at the end of their tether and we laugh with those for whom life is good. God has called us and we will serve the communities before us with joy and privilege, as we have always done. And perhaps the full life of the resurrection is closer than we think. I don't know why you're so sure there WILL be women bishops in the CofE - I presume you think God works through the General Synod (you'd certainly have said that if the measure had passed yesterday), so he must have been behind the 'no' vote yesterday. Perhaps he (shock!) doesn't want women bishops. At least take a moment to be open to that possibility! Perhaps you're wrong!! The fact is that the Act failed because there were some 'pro' WB laity who were convinced that the provision was inadequate - so they added their votes to the 'anti' laity, and that nudged it over 1/3. So it's your own fault - if you had offered proper provision (and that means ASKING the trads what they need to feel included, not telling them what they can made do with) then you would have women bishops now. Plus, the lack of respect your lobby has shown to trads in the aftermath of the vote ('bigots', 'fundamentalists') is precisely why many in Synod were concerned that legislation based on 'respect' would not be enough. Why don't you just own up to it - you don't value inclusion at all, you want rid of trads, you don't want people of that opinion to be approved for ordination, you want that part of the church to get lost. I think some honesty, not posturing, would be helpful at this stage of the debate. The fact is that the Act failed because there were some 'pro' WB laity who were convinced that the provision was inadequate - so they added their votes to the 'anti' laity, and that nudged it over 1/3. I'm just an Ignorant Episcopalian, from the Yankee side o' the Pond---ergo, I don't really have a dog in this hunt. But it seems to me, that the anti-WB side wants its church-within-a-church, because those of that persuasion want never again to be CHALLENGED on their beliefs: not to hear contrary opinions, and certainly not to see ordained women (clergy and episcopal) in action! "Don't confuse me w/ the facts, my mind's made up." Or so it seems to me (in my church that's had women blessedly consecrated/serving as bishops for just about *25* years now). Thanks JCF - the vote failed by 6 votes, but there were a whole host of 'anti' voters behind that who were simply never going to vote yes. People wanted to be entirely 'protected' from women clergy and this is simply untenable with our ecclesiology.